David Tyson Lam is a film director and developer in tech. 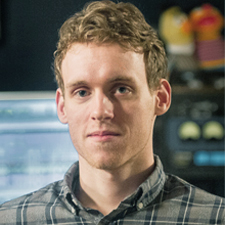 Having received a full scholarship to the prestigious Graduate Acting program from NYU Tisch, and studied film at The New School, and computer science and mathematics in his undergraduate (University of Waterloo), David migrated into film, with a focus on developing new forms for cinema by mixing web technology and traditional narrative storytelling. Viral Beauty is David’s first fully-realized feature film in this style. 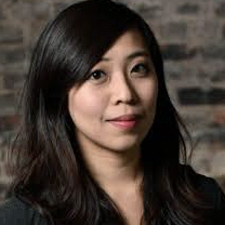 Elizabeth Lam is a writer, Senior Data Scientist, and PhD Candidate in Computer Science at the University of Toronto. She is also an inventor with multiple patents pending in distributed radiology solutions. She has professional analytics experience in the cyber security, financial, and healthcare industries. She has written screenplays in diverse genres such as comedy, drama, horror, and thriller. Viral Beauty is her first original feature film screenplay. Her second feature screenplay Enthralled made the quarterfinals of the 2015 ScreenCraft Horror Screenplay Contest. 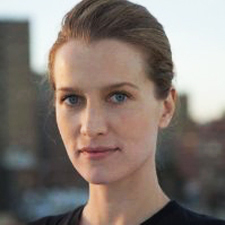 Edna Luise Biesold is a New York based cinematographer who grew up in Leipzig, former East Germany. While studying Literature and Linguistics at Freie Universität Berlin, she discovered her passion for filmmaking. After shooting films in Berlin and London, Edna joined New York University's filmmaking program. Her collaborations with fellow student Directors have screened at festivals such as Abu Dhabi Film Festival and BFI London Film Festival. Edna was a recipient of the Dean's fellowship and graduated with an MFA in May 2015. Edna has also co-directed "The Color of Time", a film starring James Franco, Jessica Chastain and Henry Hopper. The film premiered at the Rome International Film Festival and was released in 2014. Featured as one of ASCAP's Composers to Watch, Meng-Mei is a Taiwanese composer for film and multimedia currently based in New York City. Her work includes various music genres and styles. 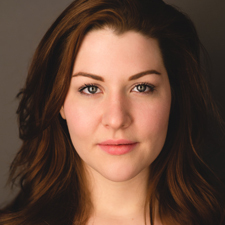 She was one of the five composers selected in 2014 NYU Steinhardt film scoring competition. Before she came to New York, Meng-Mei composed and arranged music for TV dramas. She has participated in over 30 TV series productions. Her music has been broadcast by many TV channels in Taiwan as well as in China such as Sanlih E-Television Inc., China Television company, Ltd., Taiwan Television Enterprise, Ltd., and Anhui Satellite TV. 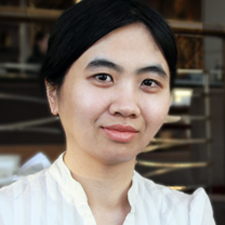 Meng-Mei most recently received her second Masters degree in Scoring for Film and Multimedia at New York University. She completed her first Masters degree in piano performance from the National Taiwan Normal University. Bobb Barito is an award-winning Sound Designer and Re-recording mixer based in New York City. In the past two years, Bobb has sound designed/mixed over 80 short films, feature films, animations, documentaries, webseries, and commercials, with projects ranging from Sundance shorts to Nickelodeon webseries to Mercedes commercials, and won two awards for his sound design work. Bobb is currently an engineer at Beatstreet Productions, where he sound designs for Nickelodeon’s digital content and more.